Ah, some proper Irish black/death fromt he crew of Beithíoch. The band hails from the north-west of the green Island and has been consistently pushing out records over the last few years. The band name translates as ‘beast’ or ‘animal’, which sort of matches their intense sound. It appears as if the group has been trying to find a particular sound for their Irish roots, moving through different styles over the albums. This EP appears to be the next experiment in this long line of explorations, titled ‘ Storms of War’. It’s a short but powerful endeavor worth listening to. What remains is a cavernous, lumbering monstrosity, that shows little to know subtle movement in this dense, atmospheric record. Opening track ‘Morrígan’ has slow waves of distorted guitar crashing into the listener as a crow caws. It’s more a dungeon synthy intro, before ‘The Jaws of Death’ launches in big, wavy fashion. The sound feels very dark, with a shadowy melody line emphasizing the way the sound seems to work within confined space. The song just barrels onward, showing little subtlety or nuance. Once more, the track ‘Funeral Pyre’ introduces the final song. 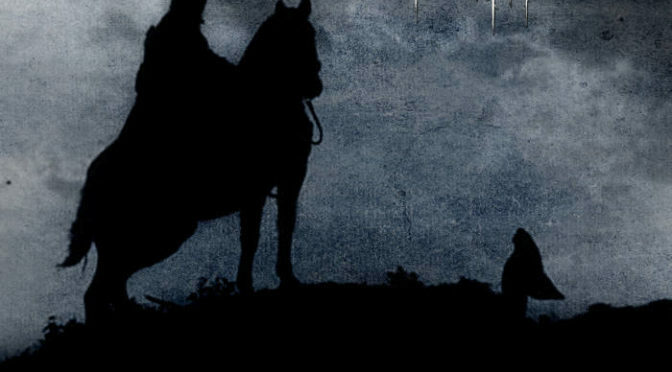 ‘Dornán Talaimh’ comes on like atmospheric black metal, with lingering and languid riffs. The vocals are almost a whisper from the abyss. The deep guttural barks that roared through the first half of the record have made room for calm and measured murmuring. It shows another side of the band in this way too short release. Beithíoch spawns forth some creeping chaos on this EP, that will take you to some dark places.